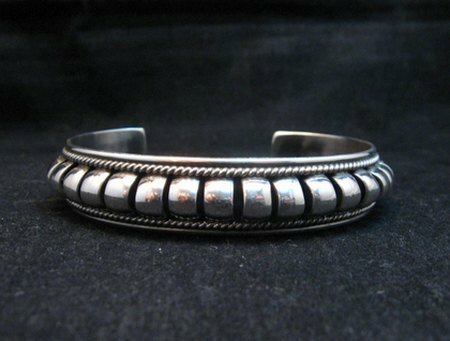 Here's a sparkling handmade sterling silver bracelet, created by Navajo silversmith, Priscilla Apache. Priscilla's jewelry features rows of domed silver bars accented by twisted silver rope and a smooth sterling silver border. Priscilla Apache is the niece of renown Navajo artist Tom Charley. 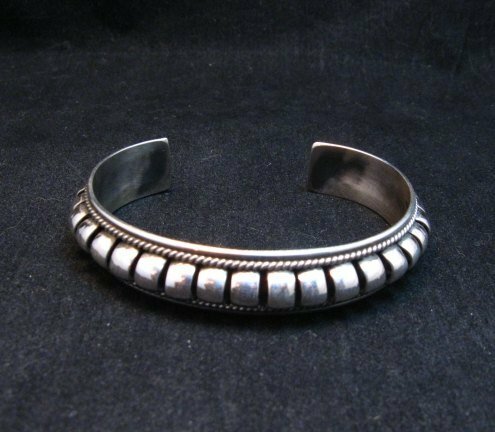 She learned the art of silversmithing from him and produces pieces in his signature coil design to carry on his work. 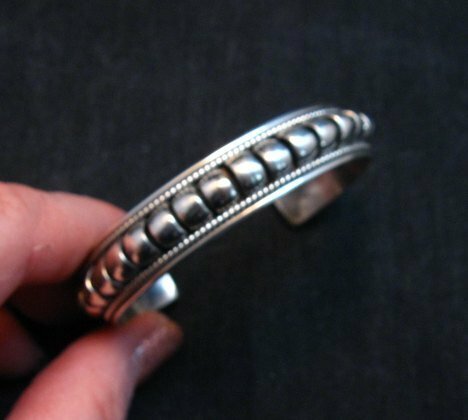 The bracelet measures 1/2 inch wide with an inside end to end measurement of 5-1/4 inch plus a 1-1/8 inch gap. The bracelet is somewhat adjustable. It weighs 22 grams. 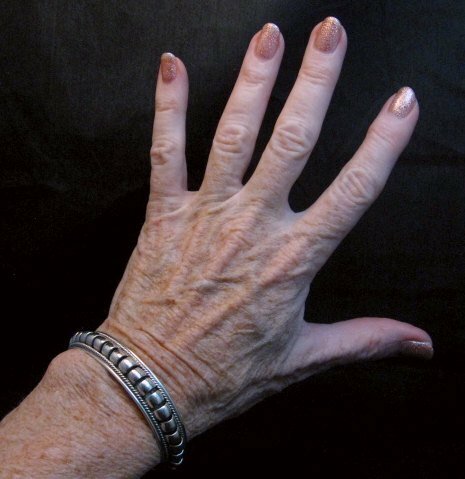 My wrist is 6 around and the bracelet is comfortably loose on me. Brand new and in perfect condition. Gift box and Authenticity Certificate included. 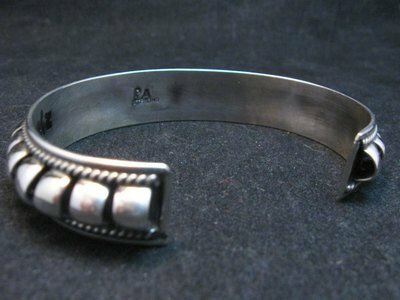 Hallmarked PA by the artists Priscilla Apache.